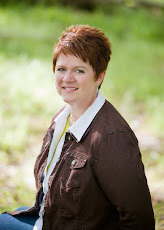 My current WIP references some common treats that locals (in Idaho) love, but a couple of my critique partners hadn't heard of them before. Have you? “An Italian soda is a soft drink made from carbonated water and simple syrup, usually flavored. Flavors can be fruit (e.g. cherry, blueberry) or modeled after the flavors of desserts, spices, or other beverages (e.g. amaretto, chai, chocolate). Some vendors add cream to the recipe as well” (definition from Wikipedia). 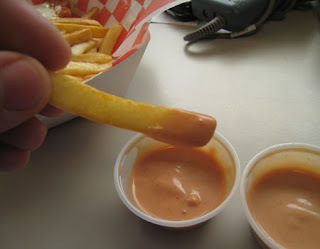 “Fry sauce is a regional condiment served with French fries. It is usually a simple combination of one part ketchup and two parts mayonnaise. When spices and other flavorings are added, it is similar to—but thicker and smoother than—traditional Russian dressing and Thousand Island dressing. In the United States, fry sauce is commonly found in restaurants in Utah and Idaho, as well as available by mail-order. Occasionally other ingredients such as barbecue sauce are substituted for ketchup" (definition from Wikipedia). Do you have a favorite local treat that people in the other parts of the country may have never tried or even heard of before? Italian sodas, absolutely! But fry sauce as a desription is new to me. A friend always orders ranch dressing for her fries. Skyline Chili (fast food chain) is very popular in Cincinnati. The chili is served over spaghetti and topped with a mound of grated cheese and some chopped onion. I don't get it.